Are you looking for the ultimate thirst quencher? Maybe you’re seeking the drink that will finally quench that never-ending thirst, but you also want to nix the high sugar and calories of a sports drink, then coconut water is definitely for you! 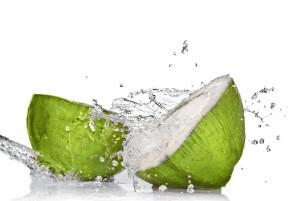 When the coconut is young and green, this is the ideal time to extract the water from the middle of the fruit, because coconut water benefits are extremely high. Obviously, hydration is the number one on the list of coconut water benefits; however, there is more to coconut water benefits then just keeping you from being thirsty.